>MARRAKECH, Morocco – The same exhortations to prayer have been called from this city’s minarets five times each day for a millennium before Graham Nash’s lilting lyrics etched this rose-walled medina into the imagination of a generation of baby boomers. Except of course that these days, the chants of “Allah hu Akbar ” are amplified. Derived from Berber “Mur (n) akush” for land of God, the walled oasis was conceived on a royal scale. A governmental center of commerce and craft, the streets of the walled medina were studded with private but palatial mansions and secret gardens, hidden amid the maze of souks and stalls clogging the lattice of narrow lanes lacing around Djemaa el Fna, Africa’s busiest open square. All of it was overseen by the magnificent, 221-foot-high minaret of the Koutoubia Mosque, which was the model for countless others around the Islamic world. 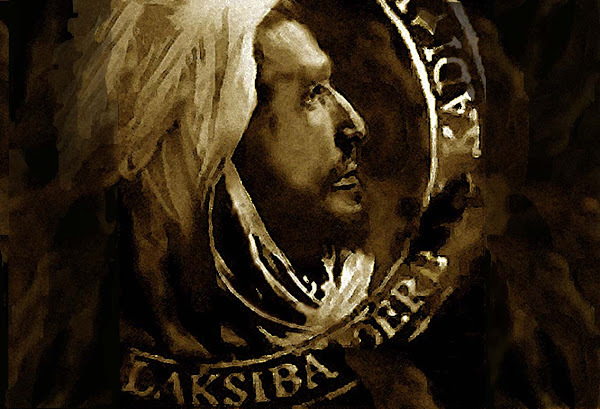 In 1904, when Morocco fell into France’s “sphere of influence” and the national capital was moved to Rabat, a new city, Gueliz, grew outside the medina of Marrakech. Ironically, that development spared the architecture within those walls where daily life continued to proceed much as it always had. To a considerable degree, it still does. By day, the Marrakech medina still throngs with mundane activity, starting with the first call to prayer at dawn. Then, as its residents go about their daily activities, traffic quickly becomes intense. Cars and trucks whiz through the wider ways, while intense swarms of motor scooters, bicycles, and donkey carts compete with pedestrians for the right of way on tighter streets. Djemaa el Fna bustles with all sorts of commerce, along with continuous entertainment, acrobats, storytellers, musicians, and snake charmers. At night, its food stalls fire up, offering exotic treats that range from snail soup to spicy barbecued meats. Unlike so many other places in the world that somehow look the same and familiar, the medina remains distinct and authentic. One measure of this is that while the urban sprawl of modern Marrakech now houses more than a million people, the medina’s entire five square miles has been designated a World Heritage Site, defined by the United Nations as a place of importance to the common heritage of humanity to be preserved for the ages. As my wife Sari and I discovered during a four-day visit in November, the medina of Marrakech can also be a uniquely accommodating place. 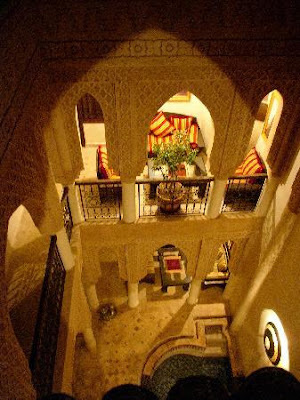 The riad is a typical design for Moroccan houses or palaces. Generally two-story structures, they are built around a central courtyard, with all rooms opening to the interior. Windowless walls facing the narrow, featureless streets conceal private paradises within. The riads provided the well-to-do with refuge from the clamor of the street and protection from summer’s heat and winter’s cold. In lieu of hanging art, the interior walls of riads were adorned with elaborately carved plaster and tiled mosaics of intricate designs. 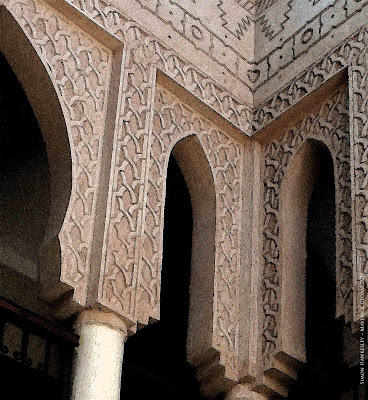 Other hallmarks include the mashrabiyya, the wooden or metal latticework over the balcony and window screens. Combined with rich fabrics, piles of cushions, and a fountain in the central courtyard flanked with small orange or lemon trees, riads were places of natural repose. We happened upon Riad Si Said, one of the properties in the Angsana Collection, a recent venture funded by Banyan Tree, the Singapore-based, premium resort and hotel company. The riad was constructed in the 1880s for the brother of the prime minister of the Kingdom of Marrakech, where he housed his harem. It is one of six once grand riads Angsana has renovated on quiet back streets in the medina. Each has six or eight guest rooms and features five-star amenities, with an asterisk. That asterisk comes because while these riads reflect all the Moroccan beauty and grace of their original decors, and they are carefully serviced, there are also idiosyncratic elements inherent in staying in 130-year-old buildings in a neighborhood that itself is more than 1,000 years old. It is wonderful to lounge on a pasha’s rooftop terrace and hear the evening call to prayer, with a faint incense of cedar smoke wafting in the air. On the other hand, negotiating a narrow stone stairway and rooms that all open to the interior provide for a different type of intimacy among guests, while intermittent lapses of water and electricity are always part of life in the medina. La Maison Arabe: has achieved significant status since it opened in 1946 as the first Marrakech restaurant to serve foreigners, attracting a clientele that included Winston Churchill, Charles de Gaulle, and Jackie Kennedy. In 1995, Fabrizio Ruspoli, a descendent of Roman nobility, purchased the restaurant and an adjacent riad. He spent three years transforming it into Marrakech’s first boutique hotel, with 13 rooms and suites. A more recent acquisition allowed the expansion to 26 guest rooms, most with private terraces and fireplaces overlooking the central pool. In addition, there are three restaurants, a piano bar, and a cooking school, as well as a new spa including traditional hammam baths, where only natural products from the region are used. While we didn’t spend the night there, we thoroughly enjoyed the cooking class offered at La Maison, where we learned the intricacies of preparing chicken tangine and carrot soup. Another evening, the dinner we had at La Maison was among the most memorable I’ve ever had. La Mamounia:. Erected in 1923 on the 15-acre garden of Prince Mamoun, a scion of an 18th-century sultan, this grand hotel has hosted the rich and famous, from Charlie Chaplin and Omar Sharif to more modern muses such as Mick Jagger, Kate Winslet, and Nicole Kidman. La Mamounia was the Marrakech hotel where James Stewart and Doris Day stayed in Alfred Hitchcock’s mystery The Man Who Knew Too Much. Reopened last September after a three-year, $176 million makeover, it is again resplendent, with 136 guest rooms, 71 suites and three riads – each with private terrace, swimming pool, and Moroccan-themed rooms. Its four restaurants serve a mixed fare of classic French, modern Italian, and Moroccan cuisine.